There was a time when international money transfers were outrageously expensive, but rules changed once Transferwise joined the game. This British start-up was founded in early 2011 by people who built Skype and PayPal. They came up with simple and innovative idea to transfer money between people rather than countries. As a result they were in position to offer great service for incredible 0.35% + 80p fee and without any hidden fee. You can say farewell to banks since they probably will be no longer competitive in this business. Intrigued? 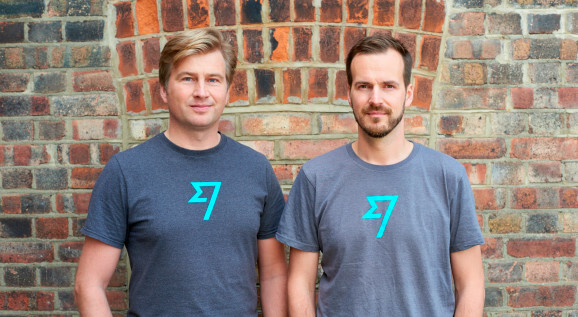 Continue reading and learn everything about this service at Transferwise review. How much you save sending 1000 GBP to EUR? How much does it cost to make a payment? The same principle applies to currencies other than GBP and EUR. However fees can be different for certain less popular currency pairs, but you can always get instant quote. For example, Alex transfers £1,000 to his friend Francisco who lives in Spain. Assuming that current mid-market exchange rate for GBP/EUR pair is 1.1266, Francisco would receive €1121.76. How I got this number? The fee in this case is £4.30 (0.35% + 80p) and the rest £995.7 gets multiplied by 1.1266. That simple and transparent. Moreover he would probably get his money same or the next day! And even more. Ask your bank or local currency exchange office how much euros will they give you for £995.7 in cash and compare with €1121.76. For sure they will give you less money as they have their wage in the exchange rate. So the actual fee for your pocket will be even less than £4.30 in this case, keep this in mind. Some banks and payment providers may include not obvious and not transparent hidden fees for their services. They do it with the only purpose to make their services look more competitive. 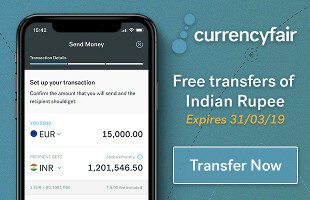 There are even cases when banks offer “free” international transfers when in fact they add an enormous margin on top of currency exchange rate. Many people simply overlook it. It’s important to understand these hidden fees and know how to perform an appropriate evaluation of total cost for your next international money transfer. Check if there is any fee to receive money. It also depends on the way you receive the payment. For example, cash pick-up is typically the most expensive option. Remember, some of these fees may be not advertised by the payment provider at the moment when you request the transfer. There is no deposit fee if you pay with a local bank transfer in your currency. There is a small fee if you pay with a debit or credit card, you will see the exact amount when arranging the transfer. Can I send money to…? At the moment you can send money to 75 countries in 48 different currencies. This list contains the most popular destinations so it’s very likely that your country is on the list. Over 1000 possible routes (country/currency pairs) are offered by TransferWise and this list keeps growing. In an unlikely case if your country is not on the list you can always leave your vote for adding this new destination. Can I trust my money to Transferwise? Institutional grade security (like in banks) is in place, that includes two-factor authentication, HTTPS and other means. They have already earned reputation of reliable and honest financial service. There are thousands of people who trust them and using their services on the regular basis. You can find many positive Transferwise reviews and feedback online. Ask your friends and you would probably find someone who already sends money using Transferwise. Michael lives in Spain and owns a flat in London. He still pays to the bank £700 each month for the mortgage. Jane lives in Manchester and plans her holidays in south France. She found amazing chalet available for rent but property owner asked to pay €785 in advance. Let’s assume GBP to EUR rate is 1.1266 so £700 and €785 are equal. In order to achieve their goals we can send Jane’s money to Michael’s bank and Michael’s money to the chalet owner in France. Euro transfers between the EU counties are for free. Same time local transfers in the UK costs nothing. We did it spending no money at all! I’m a frontier worker who lives in Spain and crosses Gibraltarian border every day. The vast majority of expats who work in Gibraltar do the same as the cost of living in Spain is much cheaper. As a result, I receive my salary in pounds to my NatWest bank account in Gibraltar, but I need Euros for everyday expenses. That was a problem when I arrived here. I went to NatWest bank and asked if they can help me with sending my salary to a Spanish bank account in Euros. They said yes, but with an enormous fixed fee and at a very bad exchange rate. I walked away and found the best currency exchange office in the town. I used to go there once or twice a month with a wallet filled with cash to buy Euros. Then I carried Euros through the border and deposited to my Spanish bank account. That was time consuming, inconvenient and not really safe. Then one of my colleagues recommended me Transferwise. Since then I became a rare visitor of my favourite exchange office. Now I do everything through the Internet and get my salary delivered to my Spanish bank account normally same day. Moreover, because I send relatively big amounts of money I get even better deals than any of local currency exchange offices can offer! Later I decided to share my personal experience and created this Transferwise review website. Most of my colleagues do the same and are very happy. Some of them are paying rent using Transferwise and find it very convenient. First of all, you will need to register an account with TransferWise. It will not take you much time and you can do it through their website or the mobile app. Optionally you can sign up with your existing Google account so that will simplify the login process in future. You will be able to make your first transfer instantly. There will be some limitations on the maximal amount you can send before you pass the verification process. By law, TransferWise is required to verify your identity but don’t afraid, this process is quick and simple. Before you start make sure you have all required documentation ready to be provided. You will need to get an electronic copy of your documents, preferably scanned copies. Of course, you can make a photo of your documents using a mobile phone but try to obtain the best possible quality doing so. Make sure you make a bright, sharp photo and not distorted photo. All documents are processed automatically. If the recognition algorithm rejects the document it will have to be processed manually that will delay the verification process. A proof of your address. That can be any type of utility bill, council tax, vehicle registration tax. The document has to be on your name, have your actual home address and be not older than 3 months. Note that your address can’t be a PO Box, it has to be your real home address. 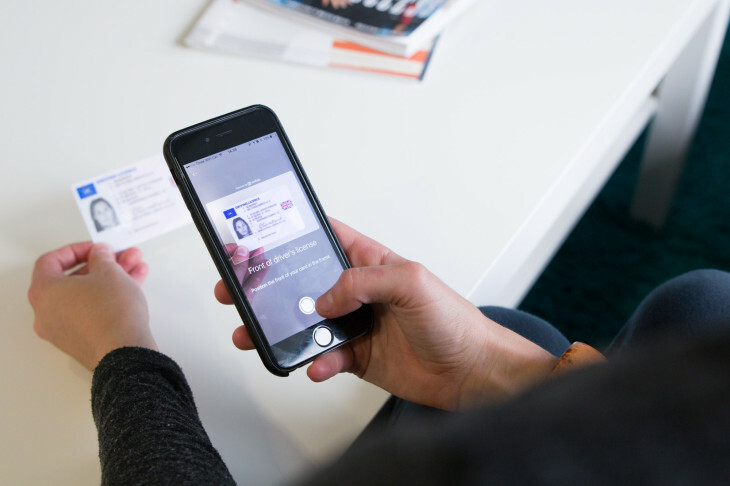 The verification process can be slightly different for different countries. Sometimes you can be asked to provide 2 documents to prove your address. These details will be clearly explained once you initiate the verification process. You can always interrupt it and resume later if you have any documentation missing. What do people say about TransferWise? I always recommend searching for customers feedback when evaluating a product or service. This way you will get independent reviews, see if customers are happy and what are typical problems others face. There is one thing you should keep in mind when looking through customers reviews. It’s the fact that most of the satisfied customers will not leave any feedback. On the other hand, customers who were not very happy with the product or service will more likely spread some negative words. Anyway, I believe these reviews are very helpful. There are more than 43000 TransferWise reviews from real customers posted on Trustpilot from which more than 95% are positive. This is a really high score that corresponds to 5 stars and “Excellent” service. Let’s see deeper at what actually people say about the service. I picked the most recent positive and negative feedbacks to get an overview. Very easy to use and really handy that I can have various currency accounts. Super quick sending money to my sister in Australia. I tried sending to her actual bank account and it was there the next day. I then sent using her TransferWise account and it took 10min. Excellent. Some people had problems with automated verification of identity. According to reply from TransferWise the verification process for the company took 8 days for some reason. Normally it takes up to 2 days. The next disappointed customer had to pay an extra fee and the interest to his bank when used his credit card. Those it’s always worth verifying with the bank if there will be an additional fee for paying TransferWise with a credit card. As you can see some people complain about the service while TransferWise didn’t do anything wrong. The verification process can take some time, not all cases are the same. Automated verification can fail if provided scans are of questionable quality. We still need to deal with banks when sending and receiving money, always clarify bank’s fees, especially when using a credit card. I personally prefer depositing money with a bank transfer from my NatWest account. It’s free and it typically takes less than half an hour to complete. The company was established in 2011 by two Estonian guys Taavet Hinrikus and Kristo Käärmann. They both moved to London but Taavet was still getting his salary in euros to his Estonian bank account. That was not very practical as he needed pounds for day to day expenses and for paying his bills. He had to make expensive bank transfers on monthly basis to receive his salary to his UK account in pounds. Kristo had another problem. He was employed by Deloitte in London and got paid in pounds, but he still had to pay a mortgage in Estonia. So he needed euros in his Estonian bank account that costed him an expensive transfer and currency conversion every month. One day they found a solution to the problem. They figured out that Taavet can send euros from his Estonian account to Kristo to pay his mortgage without any fee. Then Kristo sends the equivalent amount in pounds from his pounds account to Taavet’s pounds account without any fee or currency conversion involved. They were using the actual currency exchange rate fro Reuters to make a fair conversion. That worked very well for them and they decided why not to move this system to a different level and create a product for people who have similar needs. Nowadays TransferWise is a very recognizable company in online money transfers business. They transfer more than a billion dollars every month, have 9 offices around the world with over 600 employees. So far the company got incredible $396.4 million in funding from various recognizable investors including well known Sir Richard Branson (Virgin Group). If you visit CrunchBase you can find more details about all 22 investors who believe in TransferWise success. It was never that easy to get a pound, euro or US dollar accounts without even visiting a physical office. All you need is to have a TransferWise account. The account is free to use and there is no any annual service fee. This new product allows making transfers in the same currency that were not possible earlier. UK residents can also get salaries to their Borderless Account. All this became possible thanks to the partnership with BPCE Groupe bank. This is a really great addition to TransferWise’s products profile. 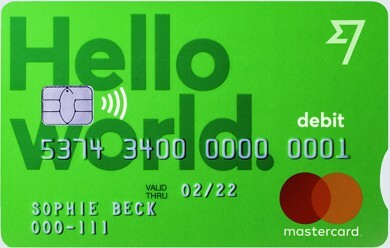 You can request your card anytime if you already have a TranferWise account. I think it worth ordering and it’s free. Just like to thank you for letting me know about TransferWise. I’ve been using it for about a year for sending money back home to Lithuania. Really simple and cost effective, money typically arrive same day or early next day. Great deal! This is how I send money from Gibraltar to Poland every month. I think they are the best option, at least for me. Can you tranfer money to a business account in Pakistan via transfer-wire? I think they can only transfer to private bank accounts in Pakistan. Can I transfer the funds in my euro account in Portugal to a TransferWise account? 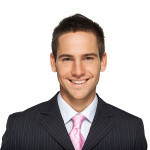 Hi Gerry, yes you can transfer money from your EUR account in Portugal. They will provide you a local EUR account to where you should send money free of charge. se puede ingresar dinero en efectivo en la Cuenta sin fronteras para poder usar la Tarjeta TransferWise? ¿deben de informar de todas las transferencias y su cuantia a la Agencia Tributaria del país de residencia del titular de la cuenta sin fronteras? En efectivo no puedes, solo con la transferencia bancaria. No se sobre la Agenica Tributaira, yo no informo nada addicional en la renta. If you send euros from a bank in Europe to a borderless account in Europe how do you actually retrieve the euros and also can you send euros to another borderless account and how would that person retrieve the euros. Thank you. Threat borderless account as a regular bank account. To get money from it you just arrange the transfer to any other bank account. You can also send euros to another euro account, there will be a tiny fixed fee for it. Or just use TransferWise debit card that is linked to your borderless account to pay for services or goods directly from your account. It sounds like a problem with your browser, may be there is a extension that does this trick. Did you try in another browser? This never happened to me.